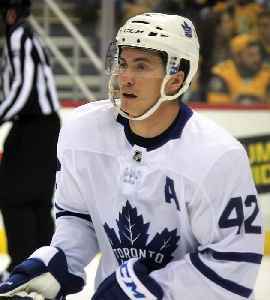 Tyler Bozak is a Canadian professional ice hockey centre currently playing for the St. Louis Blues of the National Hockey League (NHL). Bozak has also played nine seasons for the Toronto Maple Leafs. Prior to being signed by the Maple Leafs as a free agent, Bozak had played two seasons at the University of Denver in the National Collegiate Athletic Association (NCAA).